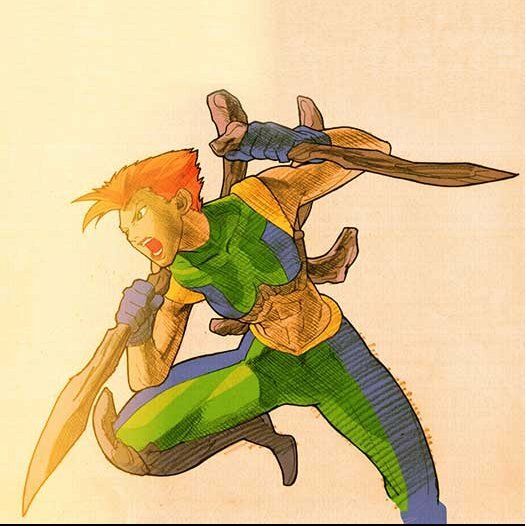 The orphan Sarah belonged to the underground group of mutant refugees known as the Morlocks, until they were decimated by an opposing mutant faction. 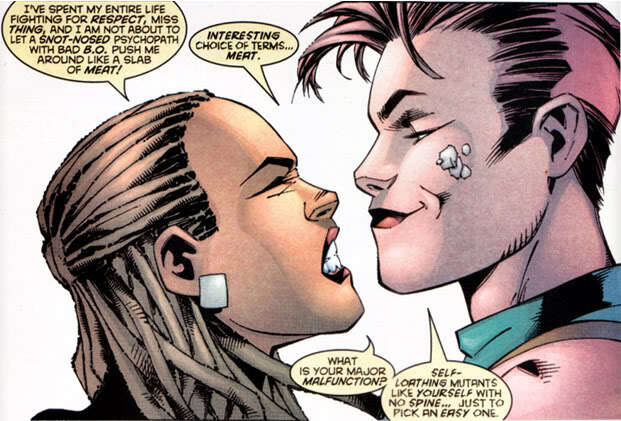 Sarah grew up hating humans and "normal looking" mutants, and came to lead the surviving members of the Morlocks. 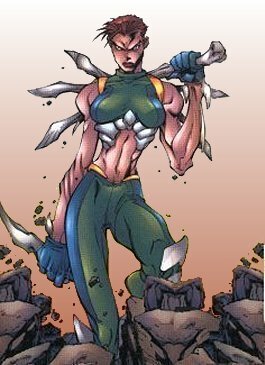 Her mutant genes that caused uncontrolled bone growth horribly disfigured her, and she was never able to survive in the outside world. 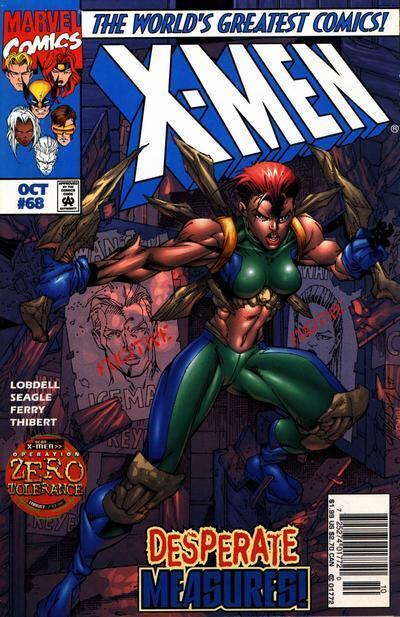 She battled the X-Men, and was nearly killed. 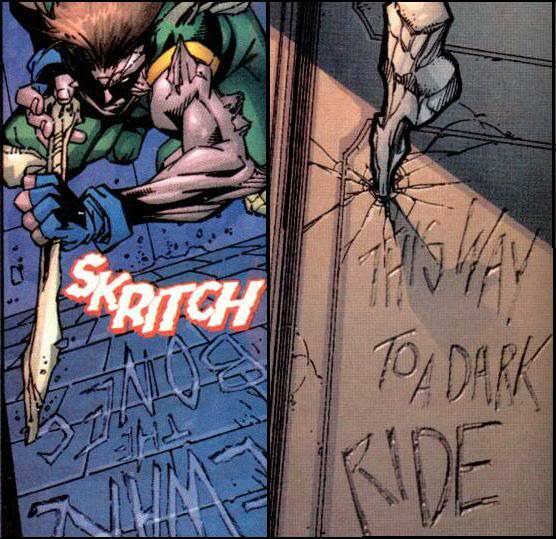 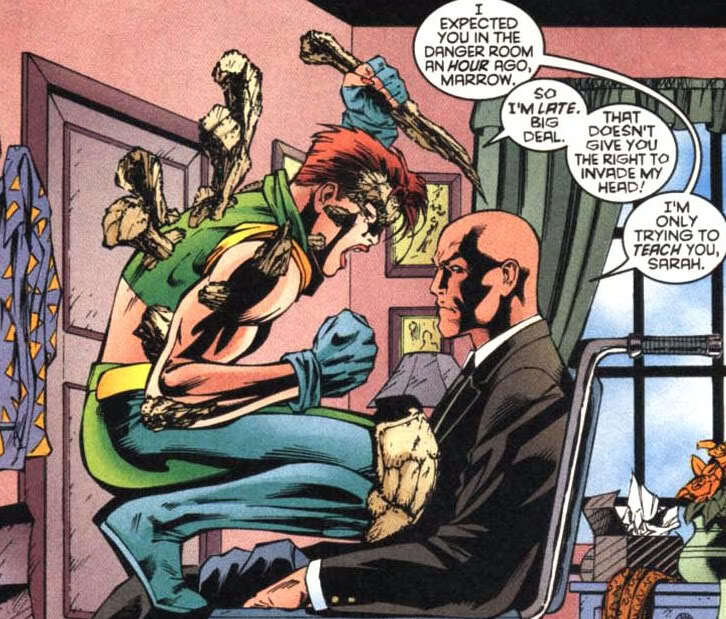 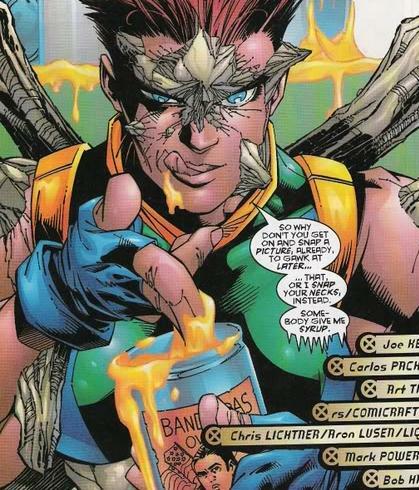 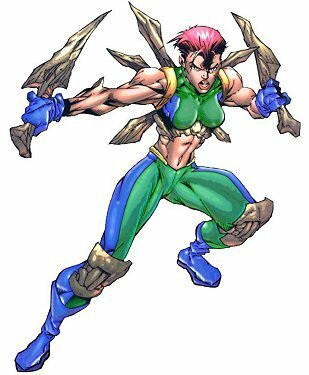 At the urging of Callisto, the former leader of the Morlocks, Marrow joined the X-Men. 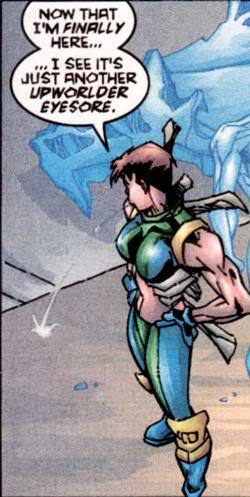 Although there was considerable tension at first, the others came to trust their former adversary. 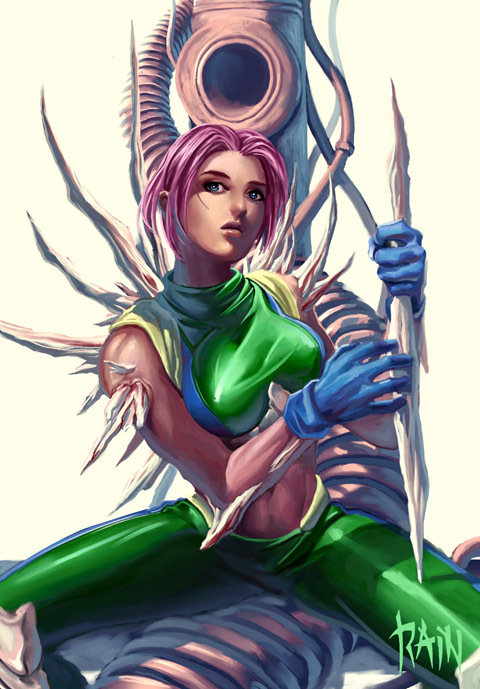 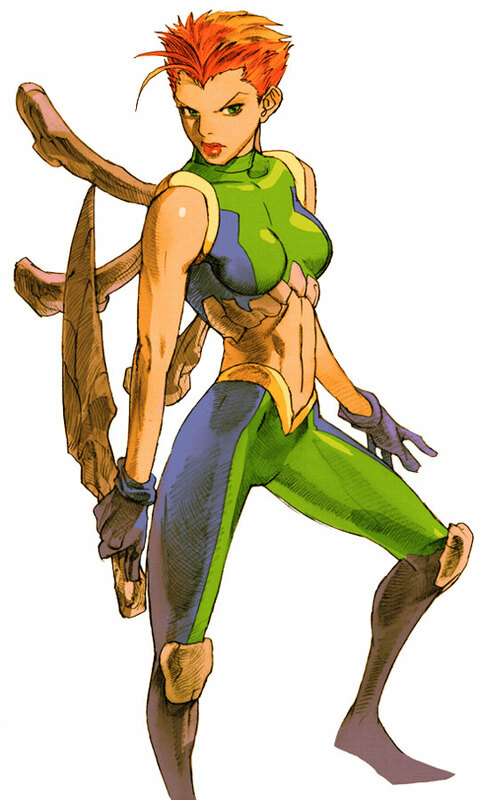 She's not exactly a popular Marvel character so she was an unexpected, yet interesting choice for Marvel VS Capcom 2. 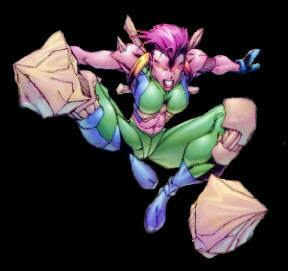 Appropriately enough, she's rarely picked in MVC2... seriously, I don't think I've ever see anybody pick her and use her "seriously". 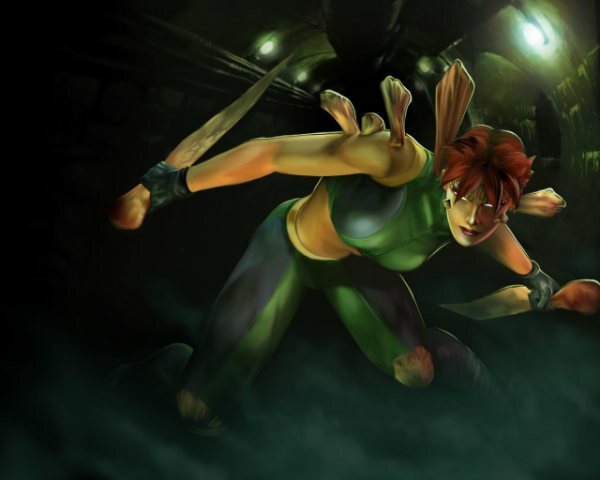 Nonetheless, her moves & animations are actually pretty cool looking and she shows pretty vivid personality in-game. 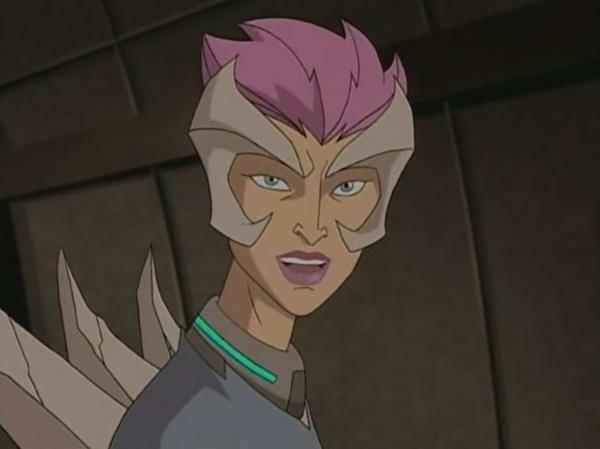 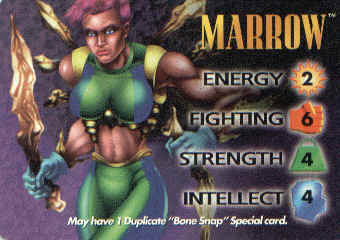 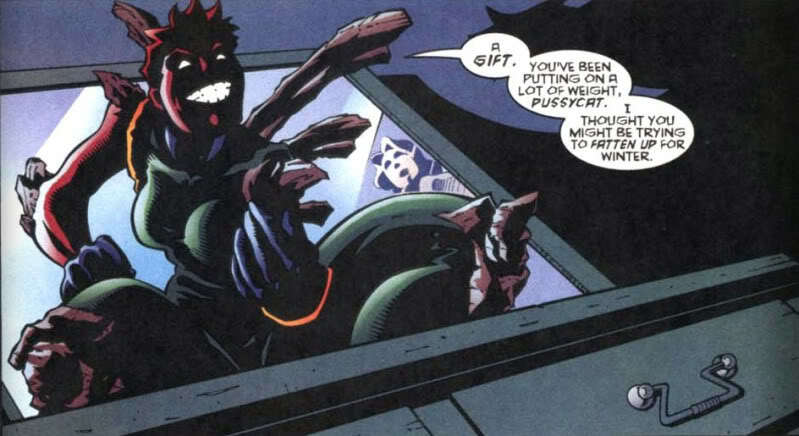 Marrow isn't a bad or boring design, but someone else in the Marvel universe could have easily taken her place in MVC2. 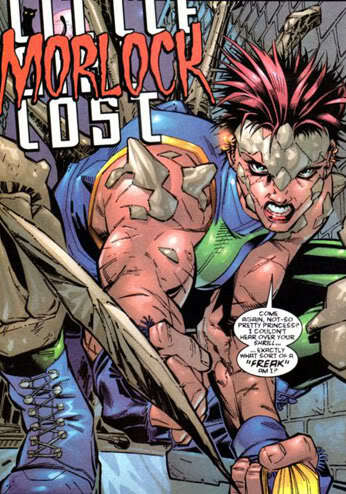 Heck, even a different member from the Morlocks might've suited the game a bit better (I could think of a few).